Tech firm Cambridge Consultants has announced a new Artificial Intelligence (AI) technology that can produce more accurate medical imaging by creating clear, undistorted views of the real-world from damaged or obscured moving images. DeepRay is based on recent advances in deep learning, and its power to see clearly in difficult, unpredictable situations could transform numerous other machine vision and imaging applications, such as autonomous driving. Machine vision systems have progressed rapidly in recent years, but performance can quickly deteriorate if a view is obscured by rain, smoke, dirt or other obstructions. This has serious implications for real-world applications where image quality can be degraded by environmental factors or damage to camera-based systems. DeepRay learns what real-world scenes and objects look like and also how they appear with various image distortions applied. When presented with a distorted image it has never seen before, the technology can then form a real-time judgement of the ‘true’ scene behind the distortion. Cambridge Consultants say that having this “mind’s eye” ability means that DeepRay will outperform humans and existing machine vision approaches in reconstructing clear images under difficult conditions. DeepRay uses unique extensions of the Generative Adversarial Network (GAN) architecture. Training requires six neural networks to compete against each in teams, inventing difficult scenes and attempting to remove distortion. Cambridge Consultants says that effective end-to-end training of so many networks together has only been possible in the last two years but is yielding radical new capabilities. 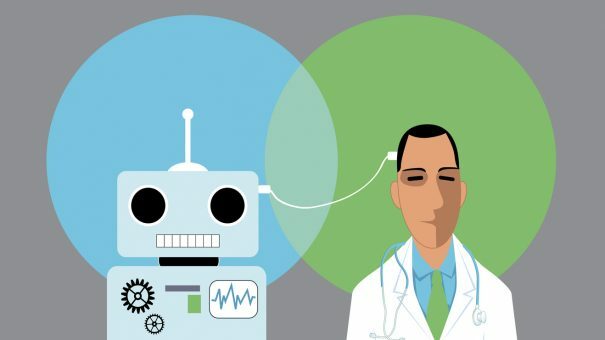 It’s an opportune time for the company, as the UK government has recently demonstrated its commitment to AI in health with £50m worth of funding in new projects. Meanwhile, in the US, Bayer and Merck & Co have also demonstrated the potential for using AI in combination with imaging. Earlier this week the companies won a breakthrough device designation from the FDA for their CTEPH Pattern Recognition AI Software, which aims to support clinical decision-making of chronic thromboembolic pulmonary hypertension (CTEPH) by analysing image findings from cardiac, lung perfusion and pulmonary vessels in combination with a patient’s clinical history. This is the second AI tech Cambridge Consultants has unveiled in the space of a month – at the beginning of November the company announced Verum, which aims to make clinical trials more efficient by using machine learning to help prevent patients becoming stressed and dropping out. The tool remotely monitors patients and provides machine learning-driven predictions around conditions or disease states. DeepRay will be publicly unveiled at CES 2019 in Las Vegas, from 8 January 2019.